def. transformative music experiences for discerning young Vancouverites between 18 and 35 for only $18. Are you seeking to broaden your cultural horizons, or are you a music aficionado with a limited budget? Looking to impress a date or influence your network in a new way? 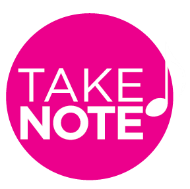 Experience live solo performances by world-class classical artists, meet new people in the process, and never break the bank doing it. Tickets are only $18 so you save up to 75%. Call the VRS ticket office at 604-602-0363 for your Ru35 tickets. • Your tickets will be waiting for you at the box office on performance day; simply show a photo ID with your birth date. • There are no additional charges when you book your tickets directly through the VRS office! • What to wear? It can be fun dressing up, but it really isn’t necessary. What’s important is that you are comfortable. • Want to bring someone over 35? That’s fine. As long as the person ordering the tickets is between 18 and 35, the age of the second person is not limited. • Tickets to multiple concerts can be purchased in a single transaction, however tickets will only be available for pick up on a concert-by-concert basis (with ID). • Socially connected? While the musicians are performing we ask that you silence your phone. Taking photos or recording during the performance is strictly prohibited, however, feel free to Tweet (@vanrecital), Facebook, and Instagram (@vanrecital) at intermission or after the performance. • Too much choice? Give us a call and we will be happy to recommend performances that we feel will suit your tastes and interests. Call the VRS office at 604-602-0363 ext. 201 NOW to book your Ru35 tickets. 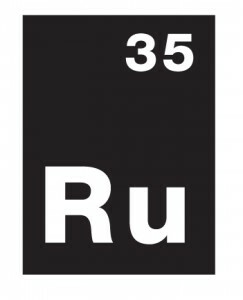 We have a limited number of Ru35 tickets available for each concert. Don’t miss out… first-come, first-served! *$18 seats are available in sections B, C, D & E. Limited to 2 tickets per person per concert. There are no exchanges, credits, or refunds for Ru35 tickets.